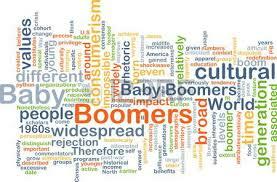 Thank each and every one of the Baby Boomers and Beyonders who responded to my Five Famous Questions about Aging. Your responses have inspired me to continue on with my writing as an Aging Boomer Fitness Trainer. In fact, the spark that I have felt about writing my book has started to burn brighter and bigger after reading your responses. Learning there are so many different ways to be in our hearts, bodies and minds as we travel this path of growing older gives me to confidence to keep on keepin’ on writing and sharing my thoughts. Please pass my Five Famous Questions on to both your Boomer and Beyonder Women friends and family. I feel passionately that we as Boomer Women will be inspired and soothed by the Beyonder Women in our lives as they can pass on wisdom gained through living more years than us! Personally, in my head I am 35, in my body 45 and in my heart 67! I do not li all the changes I am seeing in my physical body, yet I wouldn’t trade my “aging” wisdom for a body of 35. I had to think long and hard about this consciousness shift in my thinking to get to a place where I could truthfully live this statement. Finally, I am starting to feel that I am Boomer Woman on my way to becoming a Beyonder Woman and it feels good. As I continue this discussion with my friends, I am discovering so many differences in the responses to my Five Questions! Differences between married women, confirmed single women, single women who want to be in a relationship, married women who are still engaged in the relationship and gay women. How old do you feel in your body? How old in my body? Maybe mid-40s. In my head? I think I stopped counting at 26 – seriously! Shock or acceptance? I really don’t thing about it. I just want to enjoy life and each day. What am I doing? Walking about 5 miles each day plus wearing my Fitbit. Also, the dark chocolate helps!!! Content with life? Yes, and grateful for all the blessings that I have been given and hope to do God’s will. Looking forward to? Whatever comes!!! Plus, Kauai in January with a very close friend. She and I will have a blast!!!! !